Absolutely Prime Location! Live in one of the most admired Brick Bowfront Townhouses on Monument Square! Awe Inspiring Monument Views! Refined Elegance! Museum Quality Original Detail throughout! Towering Ceilings! Pocket Doors! Spectacular Living room/ Dining room with Ornate Original Plaster Cornices and Majestic Period Millwork & Carved Marble Mantel! Sweeping Open Front to Back Space! Inspiring Ceiling Medallion! Period Mirror! This Truly Stunning Oversized One bedroom offers the perfect layout for easy living! Nice Cook’s Kitchen! Gleaming Hardwood Floors! Custom Built in Bookcases! Abundant closet space! Tons of Extra deeded Storage! Deck Roof rights! 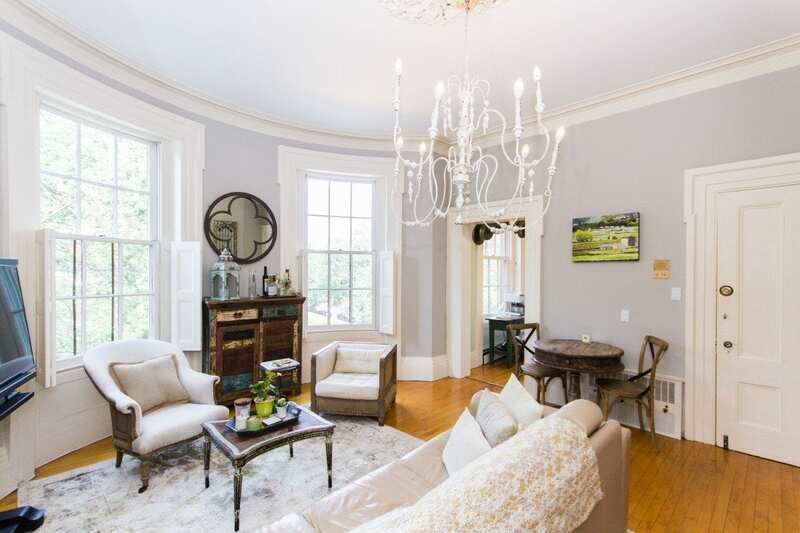 Enjoy the ultimate in City Living in this Gorgeous Historic 1858 Home! Restored to Perfection! Investment Grade Opportunity!